Womenize! 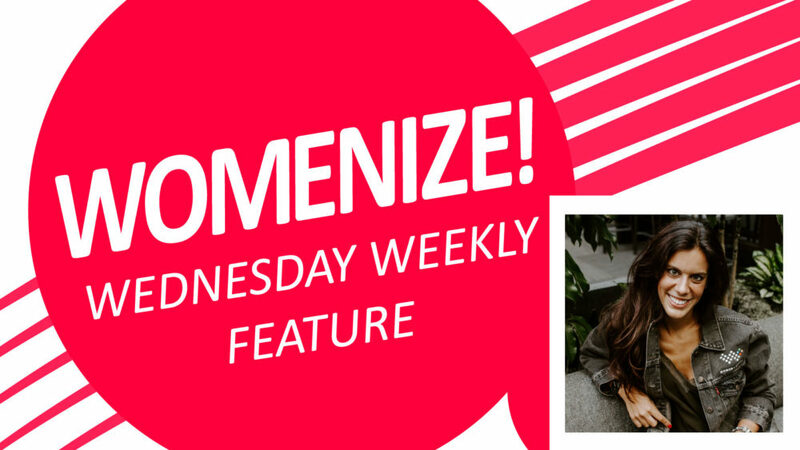 Wednesday Weekly is our weekly series featuring inspirational women from games and tech. 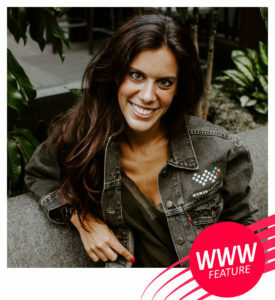 Catarina Macedo is program manager for Xbox from Seattle, Washington. Born and raised in Portugal, Catarina set her mind on going after the job she always wanted and told us what sacrifices she made to get there. Hi Catarina! In spring 2017, you scored your dream job working for XBOX as a program manager. Can you give us a little insight on what you do at your job? As a Program Manager in the Xbox Live Social team, I am responsible for some of our Xbox Live services and own some feature areas and experiences that Xbox gamers interact with every time they play! Everyone in my team makes sure that the Xbox Live services are all up and running properly, while thinking about new ideas in the social space and making those a reality. We want to bring more and more people into our ecosystem so they can interact in new and exciting ways, and make sure that our fans get the features that are important to them in order to keep them engaged with their friends and communities (which is something I am incredibly passionate about!). What kind of struggles did you face in the industry, going after the job you wanted? Being from Portugal, where we don’t have an overdeveloped games industry (although we have amazing game developers who make incredible games), and because I had the very specific goal of coming to work for Xbox, I would say that the first and biggest struggle to get where I am was the actual move to the US. Working at Microsoft in Portugal was a huge opportunity, and once I was in, I kept telling everyone what my dream was. I worked with some inspiring and empowering people, they all took a bet on me and motivated me to never give up and just go after it. After I moved to the US, I again found nothing but support from the team I joined here to continue pursuing my dream, and had great mentors within the Xbox team as well. Now that I’m here, it was as inspiring as I thought it would be – I feel extremely supported by the entire organization and I am able to do my best work with my team here. On your Twitter you wrote that you want the gaming/eSports industry to have a more meaningful impact. What change would you be happy to see in the industry? This is my mission in life. I totally believe in the power of videogames to change lives for the better: be it in the social, cognitive and professional space, playing and developing games has so many benefits and helps so many across the world, that we just need to dare to dream to imagine the true impact videogames can have. A few things that are on top of my mind: having esports programs within schools and colleges, where pro players feel supported in their careers and pursue an education; how videogames can revolutionize the way we set up our education systems (Minecraft for Edu example comes to mind, and the “Reality is Broken” book has some really great examples here) and how kids can be more engaged in what and how they learn; how videogames can increase the quality of life of patients in hospitals and how they can empower people with disabilities in such a revolutionizing way; and how all the new jobs in videogames can be seen as viable, fulfilling careers. We as an industry know that everything we do, every day, be it videogames as an entertainment medium or something more, is changing and affecting lives across the globe – so it’s my deepest belief that we should all shape our thinking to maximize that impact and make the world a better place! Thank you for your inspiring message, Catarina!